What is the best hair loss product today? If you're asking this question, you're not alone. Almost 50% of both men and women alike will experience some form of hair loss during their lifetimes. Although the causes of such hair loss differ, the resulting feelings are often the same: self-consciousness, embarrassment, even social withdrawal and depression. Research has actually shown that people respond more favorably to those who have a full head of hair in professional and personal situations. In the past, most people dealing with hair loss thought that there were only three solutions: prescription medications with undesirable side effects, hairpieces and wigs, or to just accept the condition and move forward. Today, however, there are many other effective options available. Sephren is an all-natural supplement that targets Hair Loss in women. Taken once daily with no messy sprays or creams, this product helps strengthen existing hair and balance some of the nutritional deficiencies that can lead to thinning hair. This product comes with a 90-day money-back guarantee. Sold by Speedwinds Nutrition, an "A+" rated company with the BBB, Sephren is our top pick for fighting Hair Loss in women. ProFollica fights Hair Loss in men with a combination of nutritional supplements and topical solutions applied to the scalp. This is one of the only products in our review that lets you see the actual report from the clinical study showing its effectiveness. And, a 67-day return policy makes it risk-free to try this all-natural approach to minimizing Hair Loss. ProFollica is a tried-and-tested regimen that improves Hair Loss and growth for 90% of its users. ReGrow Plus is one of three products offered by Native Remedies that fight Hair Loss using an all-natural, herbal approach. All of Native Remedies' products are backed by a 1-year refund policy. This product is ideal for those who want to avoid messy topical creams and shampoos and who want to approach Hair Loss from the inside out. Advecia is a twice-daily, all-herbal supplement that fights Hair Loss by blocking DHT, one of the known causes of thinning hair and bald spots. Sold by Progressive Health, a company with a good reputation and an excellent 6-month money back guarantee, Advecia doesn't have the impressive before-and-after photos or customer testimonials you'll find with competitor products. It's also one of the more expensive Hair Loss products in our review. Scalp Med uses a two-step, topical process for dealing with hair loss, including the FDA-approved ingredient Minoxidil. The product is offered in two formulas, one for men and one for women. Scalp Med is more affordably priced than in previous reviews, and the satisfaction guarantee has been extended to 60 days. Be aware that all orders default to automatic shipments every two to six months unless you cancel first. Also, expect to see increased hair loss initially as the product takes effect - which may scare off some prospective customers. Lipogaine offers Hair Loss products for men and women, most likely with the FDA-approved ingredient Minoxidil, along with shampoo and conditioner designed to minimize Hair Loss and stimulate growth. Information on the makers of Lipogaine is hard to come by, and having no way to contact the company besides an online form is less than reassuring - you may have trouble taking advantage of their 90-day money-back guarantee. Provillus is one of several products in our review that uses Minoxidil as a topical product for Hair Loss. The website leaves a lot to be desired: you won't find detailed usage instructions, and trying to contact customer service takes you to a third-party site. Even more telling is Provillus' "F" rating with the Better Business Bureau. You'll have a better customer experience with one of the higher-ranked Hair Loss products in our review. Propecia is the most well-known prescription-based option for male pattern hair loss. 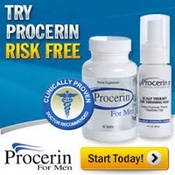 While it has definitely been shown to be effective for men, there are several negative consequences associated with Propecia's use: high costs not typically covered by insurance, side effects, and harmful effects on an unborn child if an expectant mother accidentally comes in contact with the tablets. These other options not only help regrow hair, they also prevent the problem from worsening - and they don't come with high costs or negative health consequences. Formula. Because the causes of hair loss can be drastically different, you want to choose a product that is tailored to your needs. Is the hair loss product available in different formulations for men and women? For people with oily hair vs. dry hair? Effectiveness. Will the hair loss product actually work? What results have other users experienced? Does the manufacturer have compelling before-and-after photos from real customers? How long do you need to use the product before you can expect to see results? Ease of Use. Even the most effective hair loss products won't do you any good if the steps for using it are complicated and/or time-consuming. Will the product be easy to take - a simple pill or shampoo - or will it require more effort? Price. How much will you spend for a full course of applications? Does the company offer any savings if you place a larger order? Customer Satisfaction. If you try the product and aren't happy with the results, can you get a hassle-free refund? Does the company have a good reputation? TopConsumerReviews.com has reviewed and ranked the best Hair Loss products on the market today. We hope this information helps you find the right product for your hair loss, restoring your looks and your self-confidence effectively and quickly! If you've ever run your brush through your hair, only to find clumps of it coming out with each stroke, then hair loss likely is a significant concern. Of those suffering from hair loss, over 800,000 will seek professional assistance to help reverse the trend. But what causes hair loss in the first place? There are a number of causes for hair loss in both men and women. Androgenetic Alopecia: This is the most common type of hair loss, often referred to as "male pattern baldness". While it mainly affects men, women also can suffer from this kind of hair loss. Androgenetic Alopecia is caused by a combination of genetics and hormones. Anagen Effluvium: This kind of hair loss is very similar to telogen effluvium, except that it generally results in the loss of all hair, not just patches here or there. Anagen effluvium is most commonly suffered by those who are receiving relief for various forms of cancer, including chemotherapy and certain kinds of drug cocktails designed to kill cancer cells. Another reason for this kind of hair loss would be the ingestion of a toxic substance. Alopecia Areata: It is believed that alopecia areata is an autoimmune disorder in which a person's own immune system attacks hair follicles, causing existing hair to fall out and no new hair to grow. Scarring Alopecia: A person suffering from this kind of hair loss has his own hair follicles destroyed and replaced by scar tissue, which prevents the growth of new hair. Infection: Sometimes hair loss can be caused by an infection, such as ringworm. It also can be caused by various fungi and viruses, which often are easily dealt with. Defective Hair Shafts: A final cause of hair loss can be a defect with a person's hair shaft. This damage can be caused by genetics, something in the environment, or inappropriate hair care. This kind of hair loss can't always be reversed. The best course of action if you suffer from hair loss is to consult a professional, who can help to determine which type of hair loss is occurring, as well as the best methods by which to attack it.